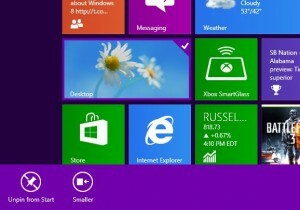 Made the leap to the drastically revamped Windows 8? Feeling a little lost? You’re not the only one. Read on for eight tips that’ll help you find your bearings, from how to make sense of the new “Start” screen to where you’ll find the old-school Windows desktop. 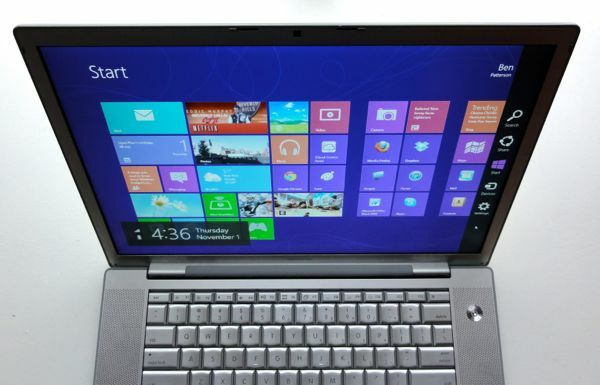 Note: Most of these tips are intended for mouse-and-keyboard Windows 8 PC users, as opposed to Windows 8 on a tablet. One of the first things you’ll see after firing up Windows 8 is the new “Lock” screen: a big, bold swath of wallpaper with a digital clock and a few other icons in bottom-right corner. OK, so … now what? Meet the Windows Start screen, the nerve center for all your apps. …and, whoosh! Welcome to the Start screen, an eye-popping and potentially bewildering array of multicolored tiles, some festooned with sliding panels of pictures, headlines and trivia. These tiles are actually all apps—specifically, touch-friendly Windows 8 apps, although you may also see some tiles representing your old, “legacy” Windows programs. Go ahead and click one of the new apps. When you do, it’ll twirl around and fill the screen with, say, a gorgeously formatted series of news headlines, or a summary of the weather courtesy of Bing (Microsoft’s search engine). All in all, quite slick. But, um … how do you get back to the Start screen? Isn’t there a “back” arrow or something? Here’s the thing when it comes to finding your way around Windows 8: when in doubt, scroll your mouse over to a corner of the screen. 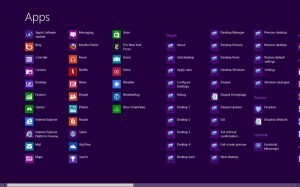 Want to search, tweak your settings, or get back to the Start menu? Just mouse over to the top- or bottom-right corner of the screen. and Settings, for managing the settings of a given app, checking your network or sound settings, or shutting off, putting to sleep, or otherwise powering down your system. Scroll your mouse to the top-left corner of the screen, and a thumbnail of the previous app you had open will pop up; click it, and you’ll jump back to that app. You can also scroll down a little more to reveal a column of all your currently running apps. Last but not least, move your mouse to the bottom-left corner of the screen, and a Start thumbnail will open. Click, and you’ll find yourself back at the Start screen. So, we’re back at the Start screen with all those crazy tiles. Want to rearrange them? Just click and hold, then drag. You can also right-click a tile to make it bigger or smaller (in the case of made-for-Windows-8 apps), “pin” (add) or “unpin” (remove) a tile to the Start screen, or uninstall it altogether. Missing the familiar Windows desktop? Just click the Desktop tile from the Start screen, and presto: there it is, complete with all your old program icons, the taskbar, the Recycle bin, and even the notification tray in the bottom-right corner of the screen. But wait … where’s the Start menu? Nope, your eyes aren’t playing tricks on you. 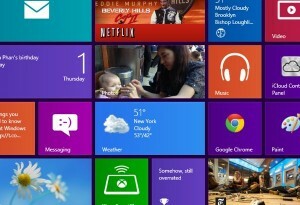 Among the many, many big changes in Windows 8, the familiar Start menu is gone for good. Go back to the Start screen (scroll to the bottom-left corner of the screen and click the Start thumbnail), right-click on the Start wallpaper, then click the “All apps” button that appears in the bottom corner of the screen. Right-click the Start screen and click All Apps to get a list of all your Windows programs, just like you could on the old Start menu. You should now see a big list of all your programs, just like you used to get in the (gone, but not forgotten) Start menu. Scroll all the way to the right, and you’ll see a heading marked “Windows System”; here, you’ll find an icon for the Control Panel, along with File Explorer (the new name for Windows Explorer) and the Task Manager. If you’re using the old Windows desktop, a quicker way to get to the “All apps” list is to scroll to the top- or bottom-right corner of the screen and click the Search icon. Not only will you get the Apps list, you’ll also be able to search for any app, setting, or file on your PC. Bonus tip: Want to “pin” an old Windows app you found in the All Apps screen to the Start screen? Right-click it, then click the “Pin to Start” button at the bottom of the screen. Want your latest email messages, events, Facebook and Twitter pals to appear in the “live” tiles on the Start screen? All you have to do is add some accounts to the Mail, Calendar, and People apps that were built specifically for Windows 8. You can add accounts to the various core Windows 8 apps by mousing to the top- or bottom-right corner of the screen, then clicking the Settings icon when it appears. First, click the People tile from the Start screen. Scroll to the top- or bottom-right corner of the screen, then click the Settings icon once it slides into view. Click “Accounts” under the main Settings heading. Choose an account to add; in the case of the People app, your choices include Hotmail, Outlook, Linkedin, Google, Facebook, and Twitter. Pick once, then enter your login information. That’s it! Within a second or two, you should see your contacts and pals flowing into the People app. Now, you may notice in the course of adding accounts to your various WIndows 8 apps that you’re asked—repeatedly—to enter the password for your Microsoft account. Anyway, if you’re getting sick of Windows 8 asking for your Microsoft password over and over again, you can make it stop by linking your Windows 8 user account with your Microsoft account. Once you sign in to your Windows 8 system with your Microsoft ID, you won’t be asked for your Microsoft password again, and you’ll also be able to sync your wallpaper, Start background, desktop themes, and other settings whenever you sign in to another Windows 8 PC. Scroll to the top- or bottom-right corner of the screen, then click the Settings icon. In the left column of the “PC settings” page that appears, click Users. 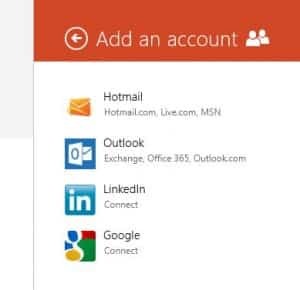 Near the top of the screen, under the Your Account heading, click the “Switch to a Microsoft account” button, then enter your Microsoft username and password. Want more apps? Just head to the Microsoft app store. 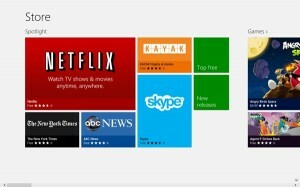 Apple has its App Store, Google has its Play store for Android phones and tablets, and now Microsoft has its own app store for Windows 8 apps. See an app you want? Click its tile, click the Install button, and Windows 8 will handle the rest. Having second thoughts about an app you installed? Find it in the Start screen, right-click its tile, then click the Uninstall button. Still have questions about Windows 8? Post ’em below! Note: Eagle-eyed readers may note that in the photo at the very top of this article, I’m running Windows 8 on an older-model MacBook Pro. How do you run Windows on a Mac? In my case, I used Boot Camp, an Apple utility that lets you install Windows on a Intel-powered Mac system. Boot Camp hasn’t been optimized for Windows 8 yet, but I managed to install the Windows 8 Pro upgrade on my existing Boot Camp-ed Windows 7 installation without a hitch.